Paper Collective’s Dancer 01 poster was designed by Amelie Hegardt, and it supports Forests of the World. 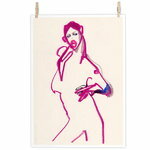 The drawing depicts dancer’s movements that are awkward but, in a way, also beautiful and poetic. Paper Collective’s posters are printed in limited editions of 200–500 and 10 percent of each sold poster will be donated to a good cause chosen by the artist. 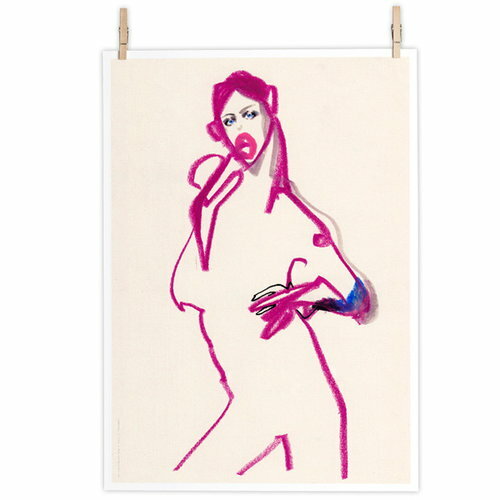 The artists include renowned illustrators, graphic designers and photographers across the world, whose work is well suited for contemporary decor. Amelie Hegardt is a Swedish artist who lives and works in London and specializes in fashion. Besides London, Hegardt has worked in Paris, Milan, New York, Beijing and Tokio, and collaborated with brands such as Vogue and Bloomingdales. Hegardt is also a teacher of life drawing and fashion illustration at the London College of Fashion and Central Saint Martins.